Ben 10 Alien Force. All of the pic be draw door me!!. 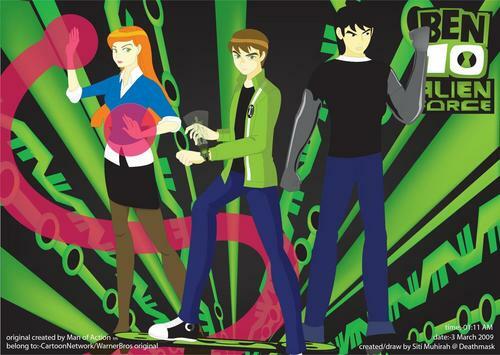 HD Wallpaper and background images in the Ben 10: Ultimate Alien club tagged: ben10 aliens. All of the pic be draw door me!! This Ben 10: Ultimate Alien fan art contains anime, grappig boek, manga, cartoon, and stripboek.